This is a weld in replacement spindle for 2000 lb to 2,2000 lb trailer axles. This is a BT 16 Trailer Spindle that accommodates 1 1/16" Wheel Bearings and a 1 1/2" Id Grease Seal. You will see the exact dimensions from the pictures. 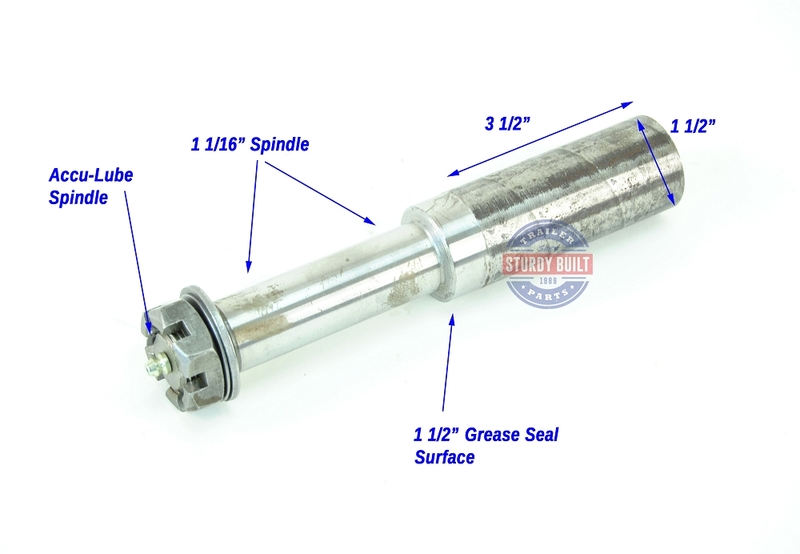 You would use this spindle with a Pre Greased Trailer Hub Galvanized 5 Lug 1 1/16" Bearings 1 1/2" Seal to completely replace one side of your trailer axle. This spindle includes the Spindle Washer, Castle Nut, and Cotter Pin. 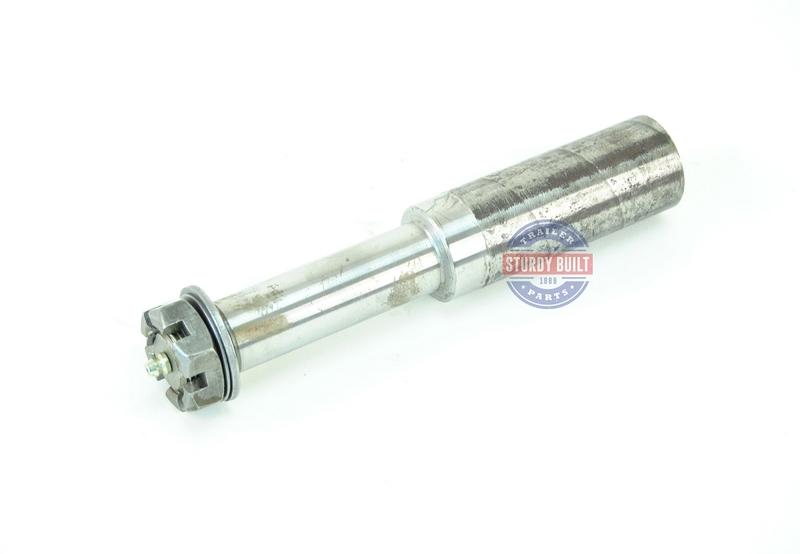 This is an Accu Lube Style Spindle, meaning you are able to use the Grease Fitting on the tip of the spindle for Greasing your trailers wheel bearings regularly. The Grease enters the fitting, and exits through a grease port located right inside where the grease seal would rest. This allows the grease to be contained and sealed inside the chamber of the hub. This Spindle Measures 8 1/2" Overall Length.